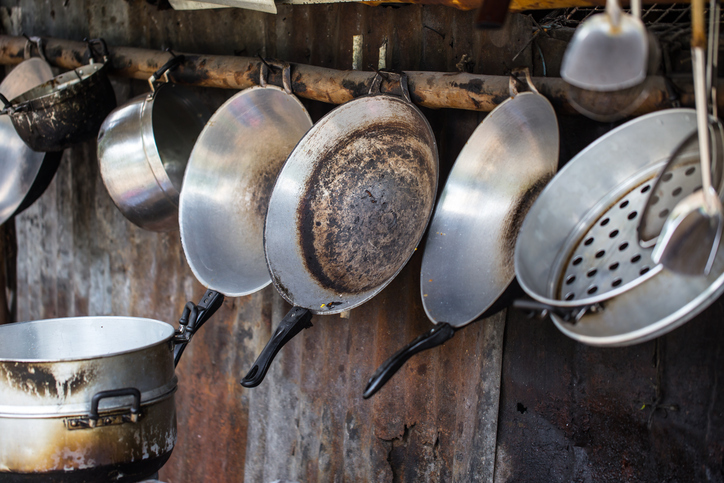 It looks like these pots and pans could do with some attention from a tinker. The cook was pleased to see the tinker arrive at the kitchen door, as she had a number of pots and pans that needed mending. Paul doesn't have any specific trade; he's kind of a tinker. The workman had done something of a tinker's job, but at least the repair should hold for a little while. There are tinkers camping in the field by the river. Really, the author's novel is finished, but she just can't stop tinkering with it. My husband likes to think he's good at home improvements, but really he just tinkers. Tinker is also sometimes used in the UK as a term for a mischievous child. Tinker dates back to the mid-13th century, in the form of the Middle English tinkere. It is a shortened form of the noun tinkerere, which literally meant ‘worker in tin.’ As such, it can be traced back to the English noun tin, which has been in use since before the year 900. It can be traced back to the Proto-Germanic noun tinom, though its origin before that is unknown. It is related to the Middle Dutch and Dutch tin, the Old High German zin, the German Zinn and the Old Norse tin (all meaning ‘tin’); there are no related words outside of Germanic languages. The –er ending is common in Germanic languages to form names of professions. The oldest examples found of tinker were last names, and it only became more common as a noun in the late 14th century, though of course its use in last names means it was already a name for the job they did. The verb comes from the noun and, meaning ‘to work as a tinker,’ dates back to the late 16th century. The sense expanded to ‘to work unskillfully or clumsily at something’ and ‘to keep busy in useless ways’ in the mid-17th century.